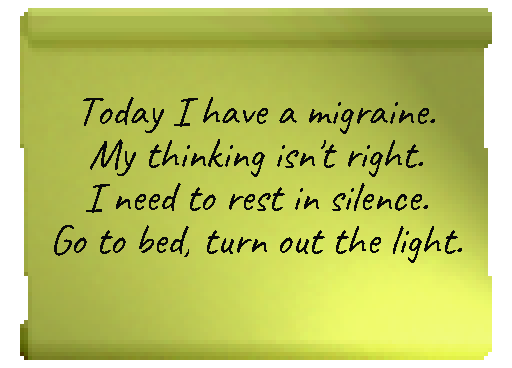 Today I have a migraine. I need to rest in silence. Go to bed, turn out the light.